A Photo Booth company with THOUSANDS of events under their belt! 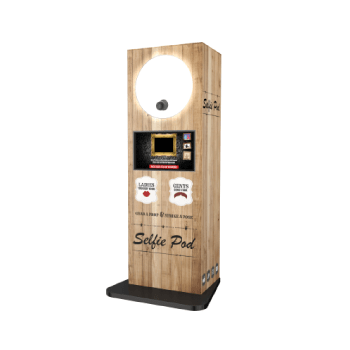 Select from our multi-award winning Booths, Pods and Mirrors! OMG done a fantastic job at our recent wedding. We hired multiple bits of equipment from them including photobooth, dance floor, love letters & uplighters. The package price for all this was quite unbelievable and such a great deal compared to everywhere else. Everything was set up perfectly and all the guests commented on how great it all was, photobooth is especially good! Thanks for all your help on our wedding day, it was a pleasure dealing with you. We would recommend OMG to everyone. We booked the photobooth and LOVE letters for our wedding. The staff were so professional and lovely. Our guests loved the photobooth and there was a constant queue! The photo book we got is an amazing keepsake and we have some wonderful memories! Thank you so much OMG! Thank you for the photo booth at mine and Andrews wedding. It went down a treat and everybody loved it!!! So much fun, I would recommend OMG every time. We had OMG recently at our wedding and they were fab! Turned up early and set up and we didn't even know they were there. 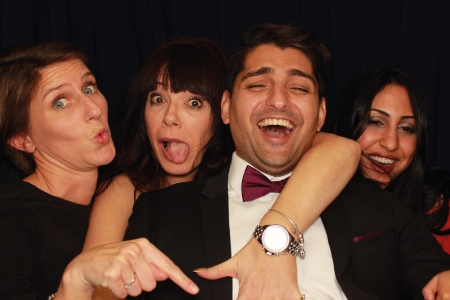 The guests all had an amazing time in the photo booth and so many people said how much they enjoyed it. Thank you so much!! Awesome firm to work with! I contacted various companies for quotes and OMG gave me the very best deal. They were 100% professional and customer services oriented from start to finish and the booth we had was A* quality and a huge amount of fun! Thanks guys! 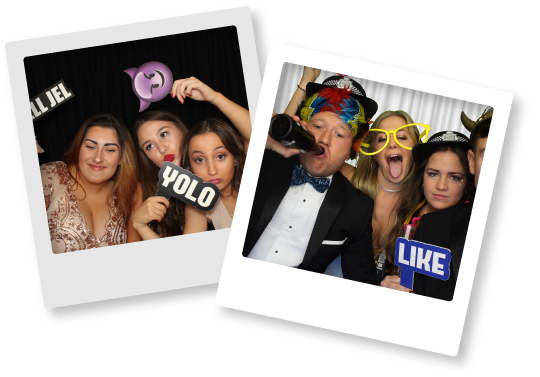 A very belated thank you for the brilliant contribution your photo booth made for our daughters 18 th birthday celebrations .Can highly recommend OMG photo booths.I had excellent help and advice on booking ,good service on the night by our two hosts .Our guests absolutely loved it ! The photo memory book was such a good record of the night .Then photos posted online and finally received memory stick in the post . Brilliant . Thanks to all at OMG for helping to make Zoe's 18th a night to remember - the booth proved to be so much fun for everyone and the service from the guys who both installed and supervised was brilliant - would definitely recommend to anyone - a great way of creating memories of a special occasion and having a laugh at the same time!! We hired OMG photo booth for our wedding yesterday 28.07.16 and I have absolutely nothing bad to say about these guys, all praise! They are extremely good at what they do, professional and interactive with the party and the results of the photos are brilliant! Setting up and taking down was discreet and would 100% recommend them if you are unsure! Thank you so much for helping make our day so memorable and special. OMG attended our wedding on the 30th May and they were fab! By far one of the best decisions we made for our big day! Thank you!! Thank you so much for doing our wedding party...Everyone really enjoyed..Amazing service and staff. Made the night memorable.. once again Thank you! Thank you omg for a great night at my husbands 30th birthday party last weekend! Everyone commented on how good the booth was! Thanks for helping make it a great night! Michelle. We hired OMG for our recent wedding and we were not disappointed! From the very start they offered exceptional service. On the night the guys were very helpful and the photobooth was just great; providing a lot of entertainment! The exceptional service continued after the event with the usb of the images being received within days! Thank you - highly recommended! 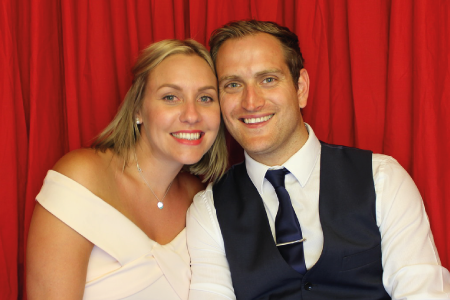 We booked these guys for our wedding at Stock brook Manor 27th November and everyone absolutely loved it. The staff were amazing and friendly. It was so much fun. Highly recommended by my husband and I and all of our guests!! OMG photo booth is by far the best! You get what you pay for. High quality photos and lots of fun props. I would highly recommend them. Their staff are courteous, friendly and accommodating I will definitely be booking OMG for our charity event in April! Unsurprising and completely justified that these guys are No.1 in the UK. OMG! took our wedding to the next level with our wedding. The team behind the scenes were incredible in the lead up, and that service continued on the day. I've had so many positive things said since the wedding and friends / family loved it. I scoured the net for my fussy standards to have exactly what I wanted (replicating a service / print style I saw at a wedding in USA) and OMG! were able to provide it. I've actually debated asking whether I owe OMG! money, such was the incredible value and standard of product / number of prints on the day. I cannot praise these guys enough. I think that the photo booth was the high light for everyone at our wedding!!! It was worth it's weight in gold and every penny!! Thank you so much!!! This was nearly the highlight of our wedding, the best money we spent. Everyone should have one at their event. Amazing!! We had the guys from OMG for our post wedding celebration party at Orsett hall after having our wedding in Mexico!! Could not fault them they were brilliant!! The Photobooth went down a treat! Everyone had so much fun and the boys were fantastic!! 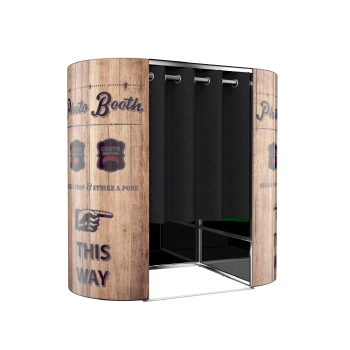 Will be highly recommending you to anyone wanting a photobooth for their special occasion! Thank you so much!! Fantastic time with the OMG Guys! will definitely be doing that again! Hired for our wedding and could not ask for a better addition to our celebrations. The lads were brilliant and even though they had the same lot of 5 year olds going in they never let up on their enthusiasm in making sure they had a brill time. Everyone loved it and made our nite that bit more memorable. Thanks a million. We booked omg for our wedding yesterday. They were absolutely fantastic. Curt and the team were professional, relaxed and made sure everyone had a good time at the green screen photobooth. The guest book they provided was brilliant and guests have told me how thrilled they were with their photos. This was certainly one of the highlights of our wedding reception and I would certainly recommend them to anyone-a great service and product at a really reasonable price!! We hired the photo booth for our wedding, the pictures we got were fantastic. Fantastic!! Very professional and friendly and done amazing with 150 - 13 year olds!!! Props were fab too!!! Thank you guys!!! Amazing night thanks to Ryan & Ben!! Fantastic time had by all including the oldies who seemed to love it more then then kids. Props were awesome and provided lots of giggles and fun! Service was out of this world!! You really were my Knights in photo booth hire!! 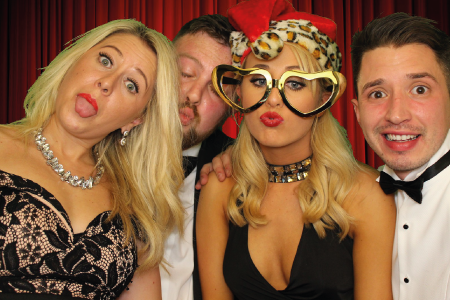 If your thinking of having a photo booth with OMG you will not be disappointed!! Great fun and great service!! Really made the night!! Thank you for making it such a good night, would recommend to everyone. Ryan and Pete were so patient and helpful! Thank you again!! Hired OMG for our Daughters 18th Birthday last night! Excellent value for money, friendly staff on hand to help everyone get in the mood and kept the steady flow in and out of the booth. Great props, highly recommend, just wish we had hired it for longer as it was great fun. Guest book is a must, lovely to sit and look through everyone else's pictures! I've been recommending OMG! wherever I go, as I've worked with them numerous times in the past and they always come up with the goods.Superb, advanced photobooth hire and very very reliable. If you want plenty of entertainment this will keep your guests entertained for ages. Brilliant. I love this!!! Our Photo Booth is the most advanced booth in the world. Its sleek design is perfect for the corner of a party & will attract attention the whole night. Our premium acrylic panels set a great atmosphere & really show off the quality of the booth. We are able to pack the booth into small flight cases that easily fits through door ways. Our velvet barriers make the whole evening flow as smooth as possible creating the perfect photo booth experience for all guests! Ashingdon Photo Booth Guest Book – We take alot of pride in our guest book which is why we always have 2 booth attendants! One attendant makes sure that the guests are ready for their photos, whilst the other ensures the guests book is full with priceless messages & pictures! Heres an example of what our black guests books look like & always comes with a choice of white & gold pens! DROP OUR TEAM A LINE! 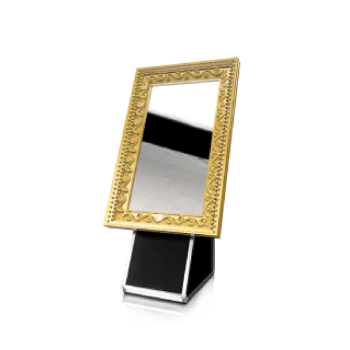 The prop box is the most important factor to any photo booth hire! We are always updating our prop box to make sure your guests get the best experience (and photos). 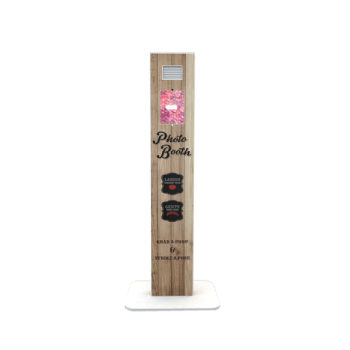 As props are always used in our photo booths we ensure that we have a monthly prop renewal to get those quality photos that you can show your friends, over and over! We ensure every hire creates the best impression, striking picture quality, instant print outs and a team with a smile are what makes use one of the most renowned companies in the UK. Amazing service by Ryan and Ben for my 30th birthday party ! All the guests loved it and it definitely added that something extra to my party ! Set up and put away went smoothly and the photo was..
Hi guys just wanted to say a massive thank you for putting on a fab show at our wedding 1st August at Channels in Chelmsford, everybody loved the photo Booth, fab staff and was such a laugh, thank you so much! Love the book of photos we got too! Would def recommend!! Unsurprising and completely justified that these guys are No.1 in the UK. OMG! took our wedding to the next level with our wedding. The team behind the scenes were incredible in the lead up, and that service continued on the day. I’ve had so many positive things said since the wedding and friends / family loved it. I scoured the net for my fussy standards to have exactly what I wanted (replicating a service / print style I saw at a wedding in USA) and OMG! were able to provide it. I’ve actually debated asking whether I owe OMG! money, such was the incredible value and standard of product / number of prints on the day. I cannot praise these guys enough. Drop the OMG team a line... don't be shy! Weddings & Parties are what we do most, but if you’re enquiring for a corporate event, prom or any other occasion, use our general enquiry form below to find out the best deal for your event! Our wedding package is suited for any type of event that you’d like a guestbook for.